The legend is back. Munster rugby have today confirmed that former Ireland captain Paul O'Connell will return to the province to work with the Greencore Academy. O'Connell penned a one-year deal with Munster and has been tasked with "acting as a mentor to the next generation of Munster players, providing invaluable rugby technical expertise and advice, while guiding them in the areas of rugby development, preparation and best practice". 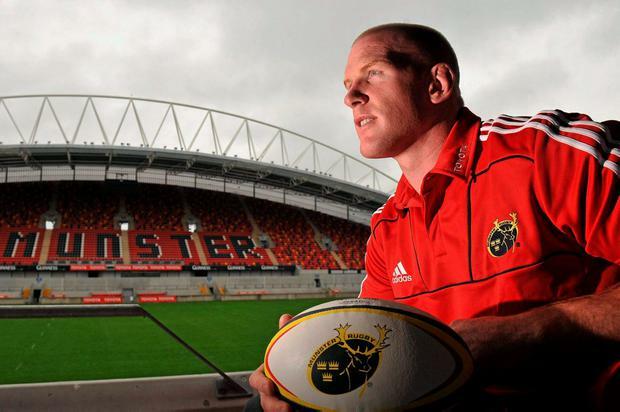 Munster Rugby CEO Garrett Fitzgerald said: "Every club in the world would love to have an iconic figure such as Paul O'Connell involved in their set-up. "As a Limerick native and proud Munster and Irishman who has played and led teams for Munster, Ireland and the Lions, we were very eager to secure his services in some capacity. "We certainly couldn't let this resource and opportunity go and we are hugely thankful to the Commercial Board for their support in making this a reality. "An appointment such as this is a further boost to our academy staff and young players, and to the organisation as a whole. As always we continue to strive for best in class and this latest appointment further highlights our ambition as we embark on a new chapter for the province, operating from our new high performance centre in UL." O'Connell will take up the role immediately.